On behalf of JSC “Sovereign Wealth Fund “Samruk-Kazyna”, I extend my greetings to participants of the second mining and exploration forum “MINEX Central Asia 2011”, which will take place in Astana during April 5-7, 2011. In its first year, mining and exploration forum “MINEX Central Asia” provided an important platform for discussion of current state and development tendencies of global market of mineral resources and metals, as well as their development prospects. Development of mining-metallurgical complex is a priority task for the Republic of Kazakhstan, as for one of top countries in terms of global reserves of natural resources. Sovereign Wealth Fund “Samruk-Kazyna” places an important emphasis on rational use of natural resources, technical re-equipment of firms engaged in mining-metallurgical sector for improvement of the quality of their output, reorientation of the produced output from raw materials to production of science intensive and high tech output with high value added, enhancement of energy efficiency and ecological compatibility of manufacturing. I am confident that the forum “MINEX” will contribute the expansion of network of contacts, strengthening of cooperation between business partners and development of practical recommendations on effective interaction between state and private sector in solution of the problems the industry is facing. I wish a productive and successful work for participants, organizers and guests of the forum. On behalf of the “National Mining Company “Tau-Ken Samruk” Joint Stock Company, I welcome the initiative of the second annual mining forum “MINEX Central Asia 2011” which will take place in Astana on April 5-7th, 2011. The experience of last year has shown that MINEX Central Asia is a popular venue for the dialogue of professional participants of the Central Asian mining market and international investors. With a view to ensure the further development of mining and metallurgical sector of Kazakhstan, reproduction of its mineral raw material base, a significant inflow of investments is required, not only monetary, but also technological. The subsequent development of mining and metallurgical sector depends on our ability to implement the production modernization, to hold large scale exploration operations as well as to enter into constructive collaboration with international industry leaders. “National Mining Company “Tau-Ken Samruk” JSC has defined a set of key development priorities in terms of enabling the assets value growth and competitiveness of production of the mining and metallurgical complex of the Republic of Kazakhstan. We are ready to consider potential partners’ proposals for joint implementation of perspective projects, as well as proposals of engineering and scientific institutes on introduction of advanced technologies into mining and metallurgical industry. 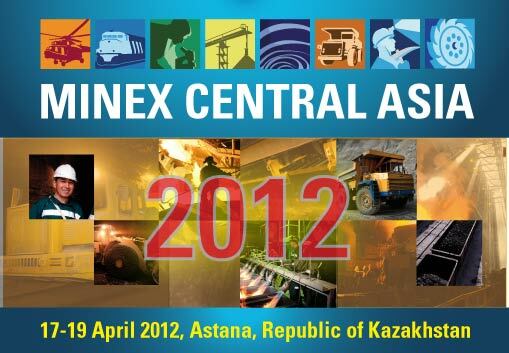 I hope that «MINEX Central Asia 2011» forum once again this year will trigger further mutually beneficial cooperation. I wish the forum participants successful work! On behalf of the National Uranium Mining Company “Kazatomprom”, I am pleased to invite you to the 2nd Mining and Exploration forum “MINEX Central Asia 2011” organised in Astana on 5-7 April 2011! At the special technical session organised at the forum with the support of “Kazatomprom” we propose to present key industrial projects which we have successfully implemented in 2010 jointly with our international partners. We are also planning to present Kazatomprom’s strategic plans which are focused on maximising diversification of the Company’s activity through participation in the foreign assets of the Nuclear Fuel Cycle (in the stages of uranium conversion and enrichment, nuclear fuel production, nuclear power plants construction), as well as the development and use of scientific and technical potential of the Company to diversify into related high-tech areas. I am certain that the dialogue which will take place at the forum will stimulate international cooperation and discussion of the practical steps which we must take to meet our objectives. On behalf of The Republican Association of mining and metallurgical enterprises, I am very pleased to welcome all the distinguished guests and participants of The second mining and exploration forum «Minex Central Asia 2011»! The last year was significant for the mining sector of Kazakhstan due to several reasons. Firstly, the Law of the Republic of Kazakhstan «On the subsoil and the subsoil use» was developed and adopted. This law defines the basic priorities of the development of the natural resources of Kazakhstan. Secondly, the Program of the development of mining and metallurgical enterprises of Kazakhstan for years 2010-2014 was adopted and launched. The Program laid the foundation of the further development of the mining and metallurgical industry of Kazakhstan. The Republican Association of mining and metallurgical enterprises became one of the developers of the Program. The modernization of the existing enterprises and creation of new competitive ventures, increasing the share of high value-added downstream products, ensuring the reproduction of mineral resources, improving environmental performance of the enterprises – all of these are stated as the main priorities of the Program. Today, the enterprises of the mining and metallurgical sector of Kazakhstan are facing new challenges, which include the development of innovations in extraction technology and comprehensive processing of mineral resources, development of new products. In this regard, I would like to once again stress the importance of the «Minex» Forum, which aims to disclose the investment and technical capacity of the mineral sector in Kazakhstan and Central Asia. I am confident that the Forum will take place in the creative atmosphere, and that it will result in the achievement of the meaningful solutions for the mining sector. The Republican Association of mining and metallurgical enterprises is glad to serve as a regional partner of the Forum and a member of the technical committee. I wish all the participants of the Forum to have a fruitful cooperation, new partners and further success!